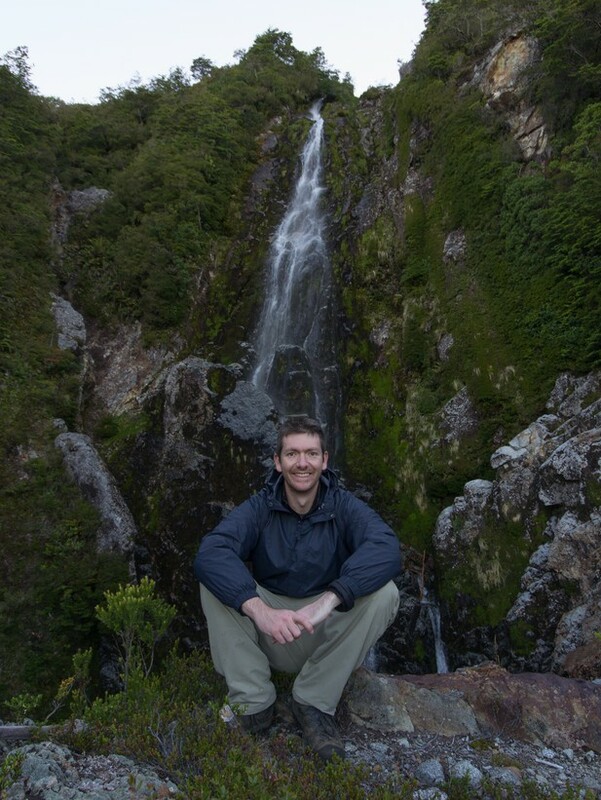 Ben Price on fieldwork in Chile. Image credit: Ben Price. Discovering species new to science. We took a group of cicadas that we thought we knew quite well and found a few previously unrecognised species hiding in plain sight, highlighting how much there is still left to discover about our natural world. What’s your favourite cicada fact? Only male cicadas sing and each species has a unique song. In some species the female replies by flicking her wings and a bush-cricket in Australia has learnt how to mimic this response to attract male cicadas to their demise! How important have your postdoc positions been to your career? Very important. My first postdoc was a split position between Rhodes University and the Albany Museum in South Africa, giving me a crucial introduction to the science that goes on in a museum. My second postdoc enabled me to visit the Natural History Museum for a week, which made me want to work here. Did you work with any inspirational curators as part of your postdoc research? I was very fortunate to work with Dr Ferdy de Moor and Dr Helen Barber-James at the Albany Museum during my first postdoc. They are truly inspirational, both being recognised experts in their field and looking after Africa’s most important collection of freshwater invertebrates. Had you always planned on becoming a curator? Growing up my dream wasn’t as specific as that, but I definitely wanted a career in the natural sciences. Weirdly I did dream of being a curator at the Natural History Museum just before my job was advertised though! How did you apply for the job at the Natural History Museum? My wife spotted the job on the museum website and the advert was also posted on a couple of science job mailing lists. There was a written application, which I wrote with no electricity while Hurricane Sandy was hammering Connecticut. I then flew over to London for an interview, which started with an identification test of 40 specimens from 12 insect orders to see if I could identify the broad range of insects I would be responsible for. I don’t know how many I got right, but I got the job! What most strongly appealed to you about being a curator? Natural history museums are humbling archives of our planet’s biodiversity. Having daily access to these collections and helping to share them with the world are two of the most appealing aspects of the job. How did your PhD and postdoc positions help you develop the skills that a curator needs? Specimen identification and handling skills are critical to my job and these were developed in my undergraduate and graduate training. The conferences I presented at during my postgraduate positions helped develop my presentation skills which are useful when I give talks to the public or at research conferences. My postgraduate studies were funded through competitive scholarships which meant I was able to develop my grant writing skills with the help of my supervisors. As funding for research becomes increasingly competitive these skills are critical. What are your main responsibilities as senior curator? I’m responsible for safeguarding almost 350,000 specimens that make up the Odonata and Small Orders collections [examples of insects in these groups include dragonflies, mayflies, caddisflies and lacewings] and providing researchers from around the globe with access to these specimens. There are also quite a few cross-departmental activities in which I take part, an example being the museum’s ambitious goal to digitise 25% of our collections (20 million specimens) over five years, where I am responsible for implementing unique identifiers (barcodes) across the museum to support this project. I live in a small village quite far from London so my day started off with my commute to work, which I used to go through emails and write part of a funding application. In the morning I used our high magnification imaging system to photograph some dragonfly type specimens for a researcher. Then, in the afternoon a colleague and I identified some insects that they collected on their latest fieldtrip and deposited the specimens in the collection. The commute back was spent working out the bottlenecks in a new workflow that we’re developing to bulk upload specimen data into our database. Which part of your job do you find most exciting? Fieldwork is the reason I’m a biologist – nothing beats getting out into the wilderness. That said, exploring the collections is a close second! Examining specimens collected over hundreds of years from all over the planet is like being an ‘armchair explorer’. I also enjoy photographing the specimens in our collection for external researchers as I get to examine the specimens in detail and learn about species from all over the world. Being a curator combines the roles of a researcher, librarian and public engagement officer so there are quite a few demands on my time and it is a challenge to fit it all in. With so many interesting specimens and projects at the museum it can also be difficult to focus on completing one project before taking on another! You’re currently trying to modernize your collections – what does this involve? My collections are stored in a variety of ways, in part due to changing standards over their history. I’m in the process of rehousing the substandard parts of the collections to ensure they are preserved in the best possible conditions. I’m also spending time updating our database to ensure it reflects the current state of knowledge of each of my groups, and I’m adding unique identifiers to each specimen so they can be more easily tracked in our database and online. What’s your favourite specimen in the collections? It’s hard to pick a favourite when almost every drawer has something exciting to show, but if I had to pick it would be a specimen of the “Stream Glory” demoiselle (Neurobasis chinensis) from Asia, which is one of the most iridescent dragonfly species I have seen in the collections. Neurobasis chinensis. Copyright the Trustees of the Natural History Museum (CC BY). Do you spend much time talking to members of the public? Interacting with the public is one of the great benefits of a museum job over a more typical university-based research career. Most people find insects fascinating when they get a chance to look at them closely. I usually participate in the larger museum events such as Science Uncovered and Big Nature Day, and I also give tours of the collections to various natural history societies and student groups. How does performing research as a curator differ from postdoc research? I have more potential for international collaboration now, due to the large network of researchers I interact with. I also have more flexibility to work on a variety of projects, from studying the ancient DNA of really old insects to helping to develop new software and public databases. On average about 20% of my work time is spent on research, but as science is my passion I spend quite a bit of time after hours working on my research projects too. What else do you spend your free time doing? I am passionate about photography, so I spend my free time outdoors with my camera gear photographing nature. I’m also spending quite a bit of time fixing up my house at the moment. What do you see yourself working on in five years’ time? I’m starting a large project on the DNA of UK freshwater insect species at the moment. Hopefully in five years’ time it will be well underway to becoming a comprehensive genomic library of the ~10,000 freshwater species in the UK, laying the foundation for similar initiatives in freshwater habitats globally. Finally, what advice would you give to early career researchers who would like to become curators? Develop your taxonomic and specimen conservation skills through appropriate courses and link up with the museum community by collaborating with museum scientists. There aren’t many museums, especially when compared to the number of universities, so when an opportunity presents itself grab it with both hands!